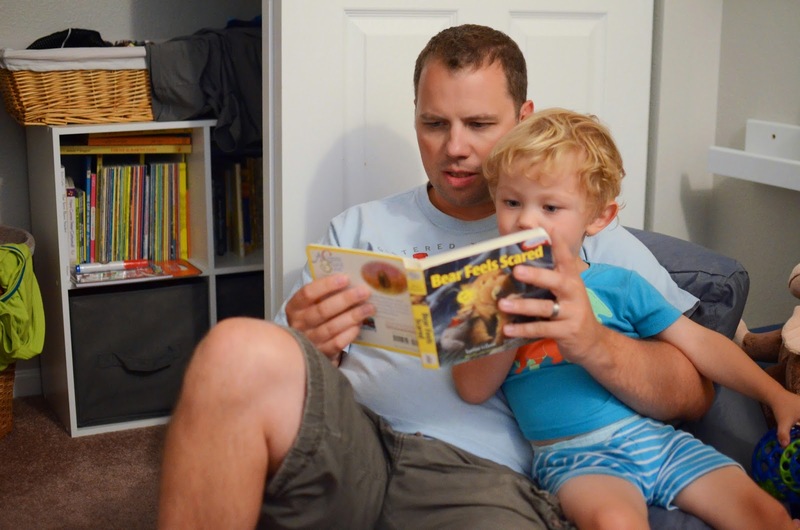 We change into PJs, we brush teeth, we pick books, one book with Daddy, one book with Mommy, and one more book for good measure (sometimes the little guy will try to sneak another in, and who can say no to reading?). 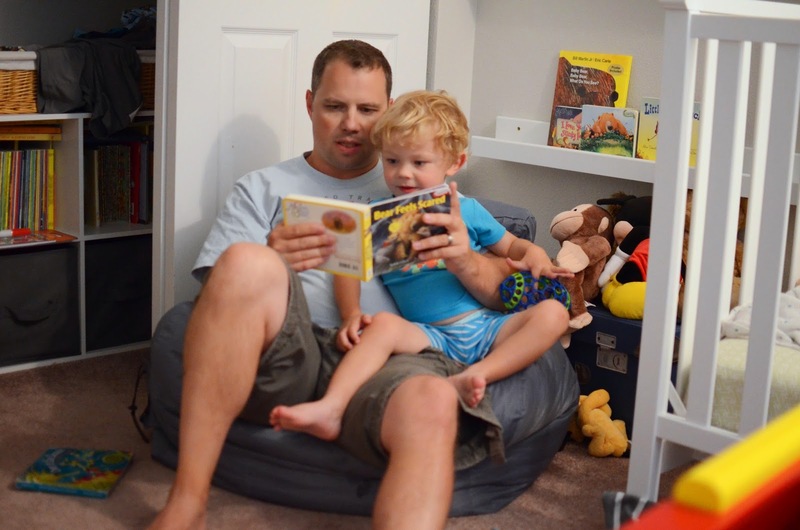 Daddy reads in the bean bag, Mommy reads in the rocking chair. 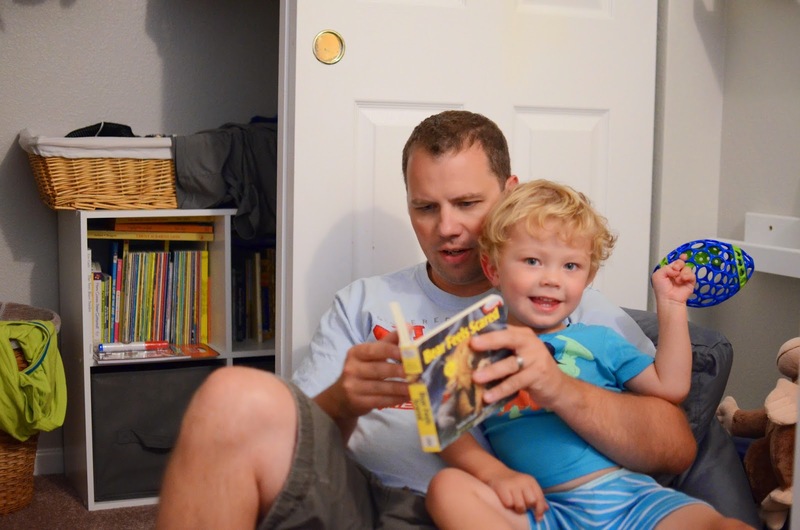 Every evening, I take comfort in watching the boys together, enjoying favorite books. Right now, we are still reading a lot of Karma Wilson, Kate Toms and Eric Carle. 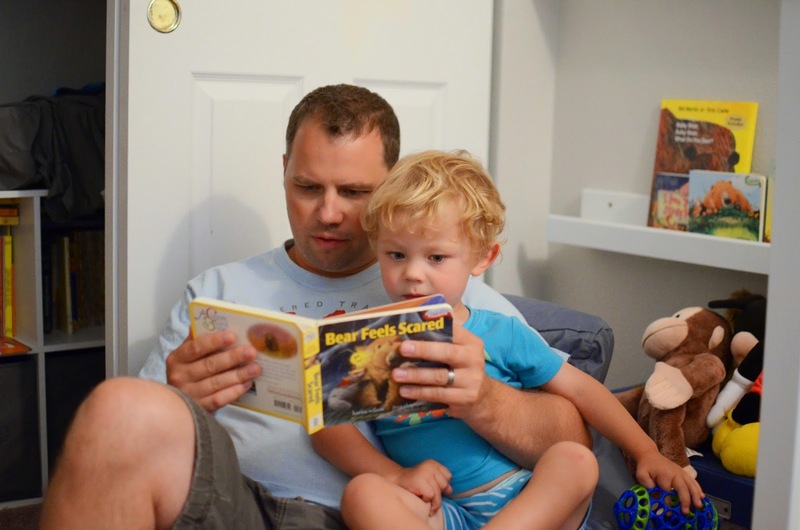 He has the books memorized, and chimes in with sound effects, or his favorite words (Chew, Chomp, Crunch, Burps Big Burps).